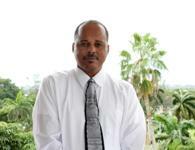 ...to the online domain of Bahamian webmaster, Dennis Arthur Dames. DAD provides the links for your wants, needs and desires. DAD appreciates your visits and business, and encourages you to come again, as this page is updated regularly to serve you. Copyright 2013 Dennis Dames Web Enterprise. All rights reserved.